Originally published in 1940, The Unemployment Services provides a thorough examination of the system of unemployment relief. 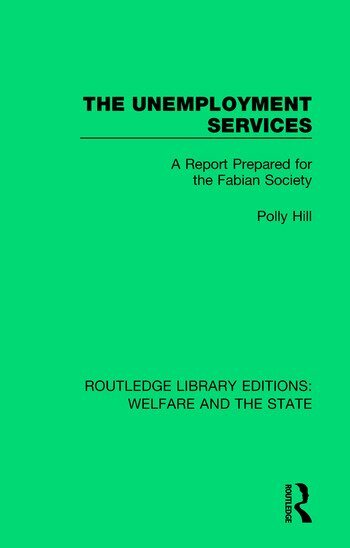 The book looks at fundamental proposals for the extension of necessary provisions for improving the conditions of the unemployed, and their dependents. The book provides a detailed knowledge of regulations and scales, and uses an unorthodox dissection of the principles embodied in this code of laws, which plays so large a part in the lives of industrial workers and their dependents.